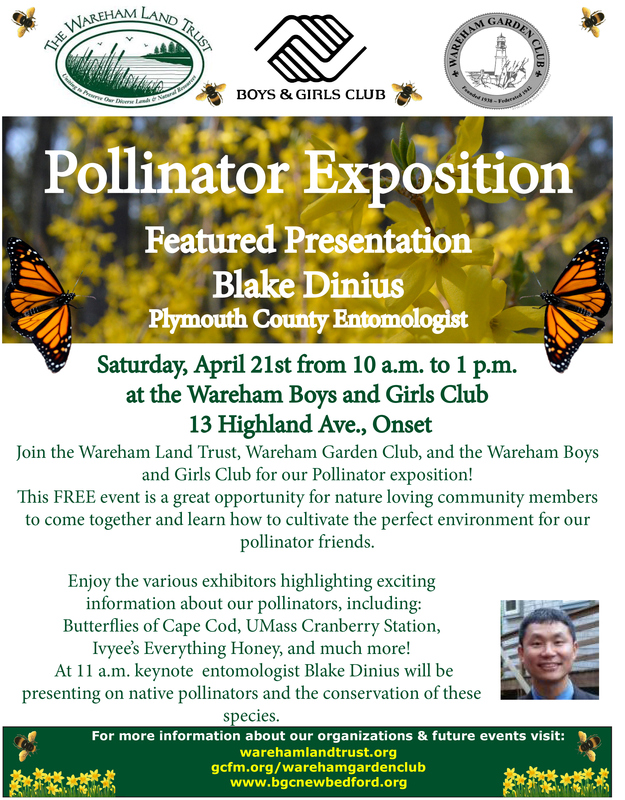 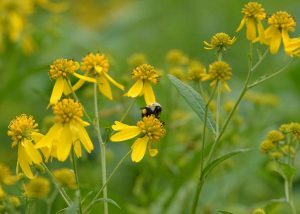 Saturday, April 21st, 10 a.m. to 1 p.m. Join the Wareham Land Trust, Wareham Garden Club, and the Wareham Boys and Girls Club for this fun and informative event celebrating native pollinators. 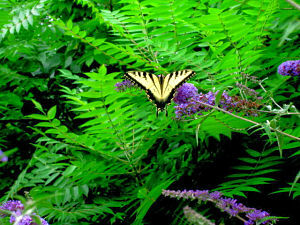 Various exhibitors will include Butterflies of Cape Cod, UMass Cranberry Station, Ivyee’s Everything Honey, and more! At 11:00 a.m., our featured speaker, entomologist Blake Dinius, will be presenting on native pollinators and the conservation of these species. 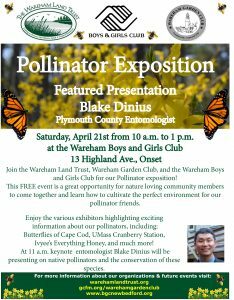 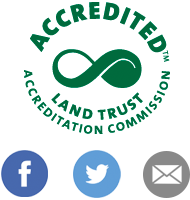 We’ll be there with information about the Land Trust and how you can help become a part of our mission to protect Wareham’s natural resources. See you there!